Retention Payments & Prompt Payment Penalties: The Supreme Court in United Riggers & Erectors, Inc. v. Coast Iron & Steel Co. Interprets “Good Faith Dispute” in Subcontractor’s Favor. It is a standard practice in the construction industry for a project owner to pay its prime contractor (1) in installments at various stages of the project’s completion, and to withhold a certain percentage of each progress payment until the project is completed. The retention withholding gives the owner some protection to ensure satisfactory performance of the construction project. The prime contractor typically passes these retention withholdings on to its subcontractors by including corresponding progress payment and retention provisions in its subcontracts. 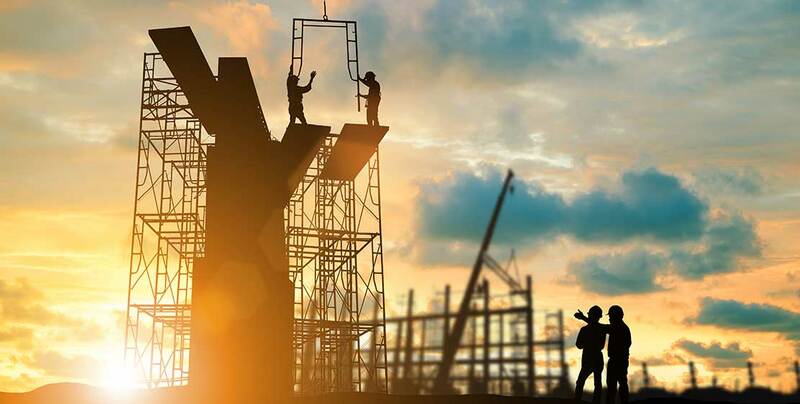 If a subcontractor fails to complete its work or correct deficiencies in its work, the general contractor may use the retention to pay costs needed to bring the subcontractor’s work into conformance with the project and subcontract requirements. The owner is required to release the final retention payment to the prime contractor at the completion of the project, and in turn, the prime contractor is required to pay each subcontractor their share of the retention. However, the owner is allowed to withhold all or a portion of the prime contractor’s retention when there is a good faith dispute concerning the prime contractor’s right to the retention payment. The prime contractor may withhold all or a portion of a subcontractor’s retention where a good faith dispute exists concerning the subcontractor’s right to payment. Retention payments on construction projects are governed by Civil Code section 8810 et seq. Civil Code section 8812(a) requires the owner to pay the retention owed to a direct contractor within 45 days after the project is completed. Section 8812(c) provides that if there is a good faith dispute between the owner and the direct contractor as to the retention payment due, the owner may withhold up to 150 percent of the disputed amount. Civil Code section 8814(a) requires the prime contractor to pay each subcontractor their share of the retention payment within ten days after the owner pays the retention owed to the prime contractor. Section 8814(c) provides that if “a good faith dispute exists between the direct contractor and a subcontractor, the direct contractor may withhold from the retention to the subcontractor an amount not in excess of 150 percent of the estimated value of the disputed amount.” Failure to make payments required under Sections 8812 or 8814 can subject an owner or a prime contractor to a two percent penalty per a month on the amount wrongfully withheld. (Civ. Code, § 8818(a). Section 8818(a) also provides that the prevailing party in an action to collect a wrongfully withheld retention is entitled to recover attorney’s fees. Disputes over cost overruns, delays, and defective or deficient work can arise during a construction project, and assigning fault between the owner, the prime contractor, subcontractors and other project participants can be a challenging task. The owner will typically withhold all or a portion of all of the retention payment pending resolution of the dispute, and the prime contractor will withhold final retention payment from the subcontractors deemed to be responsible for the problems encountered on the project. The prompt payment penalty provisions of Civil Code section 8818 are intended to mitigate the financial hardships that can result when a final retention payment is withheld without proper justification. The California Civil Code does not define the term “good faith dispute”, and the language of section 8812(c) differs from section 8814(c). Section 8812(c) allows the owner to withhold the retention payment where a good faith dispute exists between the owner and the direct contractor “as to the retention payment due”. Section 8814(c) allows the prime contractor to withhold a subcontractor’s retention where “a good faith dispute exists” between the two, but the statute does not include language requiring that the dispute be “as to the retention payment due”. Prior to the Supreme Court’s decision in United Riggers & Erectors, Inc. v. Coast Iron & Steel Co. certain courts had concluded that because the language in Section 8814(c) differs from Section 8812(c) the California Legislature must have intended to allow a prime contractor to withhold a subcontractor’s retention where a good faith dispute exists as to any issue concerning the subcontractor’s right to payment. Other courts held that the prime contractor can withhold a subcontractor’s retention only where the dispute concerns the subcontractor’s right to the retention. In United Riggers, the owner hired Coast Iron & Steel Co. (“Coast”) as its prime contractor to work on the new “Transformers” ride at the Universal Studios theme park. Coast hired United Riggers & Erectors, Inc. (“United”) as its subcontractor and agreed to pay United $722,742 for its work on the project. Approved change orders during the project more than doubled the original subcontract price. Coast paid United 90 percent of the total contract price during the course of work and withheld 10 percent for retention. By the end of the project, United had been paid $1,346,377, and was owed $149,602 for the retention withheld under the subcontract. The owner paid Coast the full retention amount Coast was owed under the contract at the end of the project. United demanded payment of its $149,602 retention, plus $352,542 it claimed for delays and outstanding disputed change order requests. Coast refused to pay any amount. United sued Coast seeking $446,857, plus prompt payment penalties and attorneys’ fees under Section 8818. Coast did not dispute United’s right to the retention but claimed that it was entitled to withhold the retention because there was a good faith dispute over United’s right to additional payment for delay damages and unapproved change orders. Coast eventually paid United the $149,602 retention amount several months after the lawsuit was filed. The trial court found that United was not entitled to any payment for delay damages or contested change orders. The court denied United’s claim for prompt payment penalties and attorney’s fees under Civil Code Section 8818 because it decided that the parties’ dispute over the contested change orders was “a good faith dispute between Coast and United . . . that entitled Coast to withhold the payment of retention.” The trial court found Coast to be the prevailing party under Section 8818, and awarded Coast $150,000 in attorney’s fees. Comments: The United Riggers makes sense from a policy perspective. But the case also illustrates how several seemingly innocuous words in a statute can lead to expensive court battles between litigation adversaries. Coast paid a high price for its decision to delay payment of United Riggers’ retention. Each side incurred attorney’s fees that greatly exceeded the retention amount, and United recovered its attorney’s fees in addition to the retention that Coast voluntarily paid after the lawsuit was filed. Others in the construction industry are well advised to learn from Coast’s error and not make the same mistake. (1) The prime contractor has a direct contract with the owner, and typically employs subcontractors to carry out specific parts of a construction project. The terms “prime contractor”, “direct contractor” and “general contractor” have the same meaning and are used interchangeably.